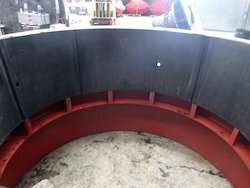 Our reputed entity is engaged in supplying Abrasion Resistant Rubber Lining. We are a top notch supplier of Abrasion Resistant Rubber Lining. From our wide consignment, we are affianced in supplying Abrasion Resistant Rubber Lining. In order to meet excellent quality standards, we are supplying Abrasion Resistant Rubber Lining. We offer an efficient array of Corrosion / Abrasion Resistant Rubber Linings that are widely accepted among our clients. 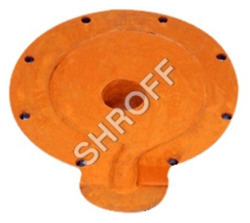 They are manufactured from supreme quality material in accordance with the industry set standards. We ensure about their long service life and reliability as they are fabricated using advanced technologies. We are engaged in offering Abrasion Resistant Rubber Lining. We are a top-notch organization, engaged in providing Abrasion Resistant Rubber Lining. Abrasion Resistant Rubber lining - For chutes, hoppers, launders, bins, ball mills, cyclones, ducts etc.